Hello V. Anthony and welcome to Books2Mention Magazine. Thanks for granting us the opportunity to learn more about you and your literary gift. Congratulations to you on the success of Daughter By Spirit, Everybody Got Issues and your recently released title My Life Is All I Have. B2M: When did you decide to pursue writing? V. Anthony: Thank you so much B2M for this opportunity. I've always explored the idea of writing, playing around with different ideas that come to mind and creating short stories but it wasn't until Thanksgiving night of 1999 that I began to imagine the real possibility of writing novels and having them published. That was when I started writing a story called November Friend, which would later become my first published effort through Zane's, Strebor Books International. When Strebor published the story, the title was changed to Daughter By Spirit. The title was changed for the very simple reason that DBS was originally written as the sequel to November Friend. Both stories were combined into one so we decided on DBS as the title. I was so proud to have that book come out. Daughter By Spirit was a reflection of how I felt about love at the time. Everything that Christian (main character) expressed was exactly the things I would say. 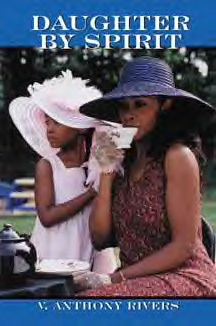 That story was also a tribute to the daughter (Anjelica) of the first woman (Yolanda) that broke my heart. In the story I named the daughter Angelina. And just like in the story, I always hoped that when she grew into a young lady perhaps she'd try to find out more about me, that mysterious man in the beginning of her life who left a beautiful imprint in her heart. I'm not her father but I was around her during the first three years of her life and I like to think I was a very positive influence on her. DBS is a different story from what I experienced but all the energy, love and heartache that I went through was placed emotionally into the telling of that story. B2M: What fuels your creative passion for writing? V. Anthony: Life and my own daily experiences fuel my passion for writing. There is so much out there to grab from and everyday I feel like a sponge soaking up one experience after the other. I marvel at those who walk around believing that when they're asked how it's going, they respond by saying "same old, same old." That's the makings of a boring life. lol. You can have a daily pattern that you go through but if you really take time to observe the happenings in your life, there's always something going down that's gonna make each day different. That's why I say that life is the fuel and that encompasses everything from love, heartache, joy, pain, traveling, cruising around your local city and just living life to the fullest, soaking up every kind of energy, good and bad. B2M: What prompted your decision to create stories that are a blend of Street Literature and Contemporary Fiction? V. Anthony: I don't know that I really consciously tried to blend street literature and contemporary fiction. I think that after I finished My Life Is All I Have (MLIAIH), I took note of what I had written. Not to mention, those that I gave a sneak peek to brought out that point as well. With MLIAIH I really just wanted to tell a great story that reflected the consequences of decision making. Then at the same time these characters live in an environment and communicate in a sort of way that puts them in that street category, I imagine. First and foremost to me was just telling the story and reflecting these characters as honestly as possible. B2M: How did you arrive at the concept for My Life Is All I Have? What had happened was.lol... I had all my attention on my wallet. I was trying desperately to remove my ATM card when all of a sudden I bumped into this guard with his hand resting on his gun. Oops. I didn't mean to but he looked at me with no expression. I noticed his partner nearby holding sacks filled with money, no doubt. Then as I continued on to the ATM after apologizing for bumping into the guy, my imagination took over. I started to think that if I were criminally minded I could've gotten the jump on that guard and done something crazy. I thought long and hard about what I was imagining and then began to wonder what a person making that decision in his life would be thinking. That's the kind of decision that would alter lives. It wouldn't just be about getting money even though most times you'd get the feeling that someone committing a crime like that does not think at all. So, I took this initial spark and ran with it. In the case of the robbery I'm thinking about the person committing the crime would then be on the run, his/her family would be disappointed, and there may have been an exchange of gunfire which would mean somebody could've gotten killed, thus affecting even more family members all because of one person's decision. As time went on other ideas began to develop in my mind with respect to characters and directions for the story. I didn't want the story to be about a robbery. I wanted it to be about a life; one person's life and the consequences created not only by the decisions but also by the influences surrounding this person. What brought them to this point in their life to where they chose something drastic in order to escape an existence that they no longer wanted to be around? B2M: How do you make the characters in your novels come to life for your readers? V. Anthony: For me they come to life through the realness of the dialogue and the development of whom they are based on the experiences portrayed in the story. 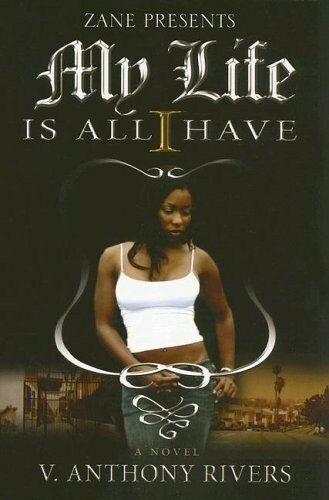 With My Life Is All I Have, I believe I created two very memorable characters in Leesha Tyler and Scottie Franklin. The reactions to both from readers and reviewers have been wonderful. Leesha is the main character and it goes back to what I said previously. I wanted readers to see what brought this young lady to decide one day that she wanted to rob an armored car. In order to do that I had to develop her character and to show the influences and environment that contributed to her drastic decision. Then there's Scottie; Leesha's best friend. I've had a lot of female readers fall for this guy despite who he is and what he represents. A gangster with a heart and an unconditional love for his home-girl Leesha is a beautiful thing to watch. The respect he holds for her and the wanting to see her do great things with her life is very important in the story. You also witness him in a not so positive light too but because of the way he tries to support and care for Leesha perhaps everyone is thinking he'll change and go completely legit. The greatest compliment to me creating these characters is the fact that a few people have emailed me to send congrats on the telling of a "true" story with such realness and capturing the emotions perfectly. I thank them of course, but I also let them know that the story is not true though many of the things have happened before, none of it can be attributed to one person. B2M: Who was the very first person that you shared your aspirations to become an author with? V. Anthony: I actually didn't tell anyone until after my first book was published. That was when I showed my mother and a few friends. I used to share some of my poetically written short stories and inspirational quotes with a friend (Patricia) at work many years ago but I never said to her I wanted to be a published author. At that point I wasn't even thinking about it but it was Patricia who one day told me that before I knew it I'd be writing books because the stuff I was writing at the time seemed to really be developing. B2M: What was the last book that you read? V. Anthony: And Even If I Did by Kisha Green. It's a really beautiful story about self-love and recognition. It's very well written and I love the character development of the three women featured in this story. It's the sort of development that I sought after for my second novel, Everybody Got Issues, which was basically for me a character driven story. V. Anthony: I actually prefer not to have a "tranquil environment." LOL. The places where I find peace are typically in the south and especially in the country. I may use that environment for thinking, jotting down ideas and exploring but I have a hard time actually writing because it is so peaceful and quiet. I'm used to being in or around LA where there's a constant hum from the city noise and cars always on the freeway going somewhere at all hours of the day and night. So, I don't know that a tranquil environment is good for me when it comes to writing. B2M: Have you had the chance to meet some of your favorite authors since entering the business? 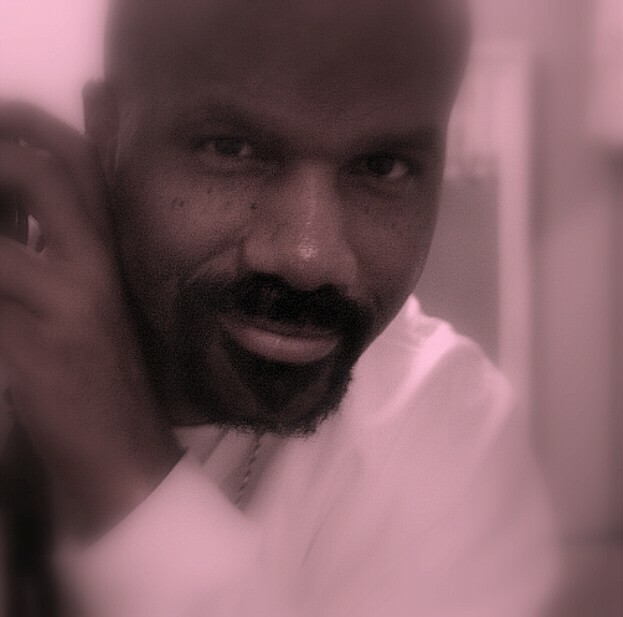 B2M: In addition to your three novels you have also contributed to several anthologies, which include Sistergirls.com, Chocolate Flava, Truth Be Told and the forthcoming Love Is Never Painless. Given the opportunity, what other authors would you like to collaborate with? V. Anthony: All of those anthologies have been a blessing to be a part of and it's always the greatest compliment to be asked to contribute something. I would love to collaborate with Timothy B. McCann though I know he's stepped away from the biz. I just like his style and sensitivity with his writing. It's real and it's natural. I think it would be pretty cool to contribute to something that also includes his work. Other than that, I can't really say I've had aspirations to collaborate with anyone specifically. I'd simply just love to listen to and collaborate in a one on one setting over some delicious Starbucks beverage with any cool author that wants to talk about life while we observe life. And it would be real cool if that person happened to be someone like Timothy, Eric Jerome Dickey, Tracy Price-Thompson, Edward P. Jones, and others that I can learn from. B2M: What's next for you? V. Anthony: I'm working on a story that I hope will become one of the most emotional reads ever experienced by anyone. It's a beautiful story about two perspectives of love and a wonderful tribute to the dream of forever lasting love. I believe it can still happen even in today's world. B2M: What do you hope your accomplishments will spark in other individuals when it comes to their own talents? V. Anthony: I hope that they find inspiration to always push the limits of their creativity and to constantly hope to grow with each creative thing that you do. Creativity is an amazing blessing and it's such a high when it all comes together. Congratulations V. Anthony on the success of your books. You are definitely a talent to look out for and we look forward to reading more of your work in your pursuit to deliver powerful stories that highlight our heritage and lifestyles in the world today. You are welcome to visit the website of V. Anthony Rivers at www.vanthonyrivers.com.